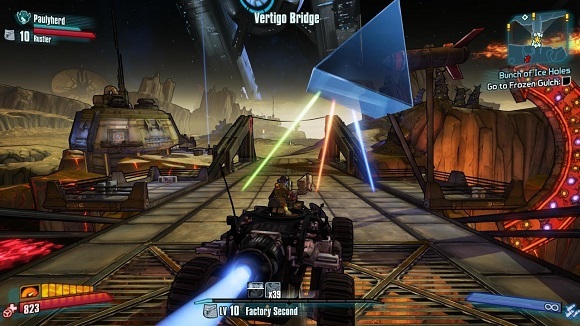 Discover the story behind Borderlands 2 villain, Handsome Jack, and his rise to power. 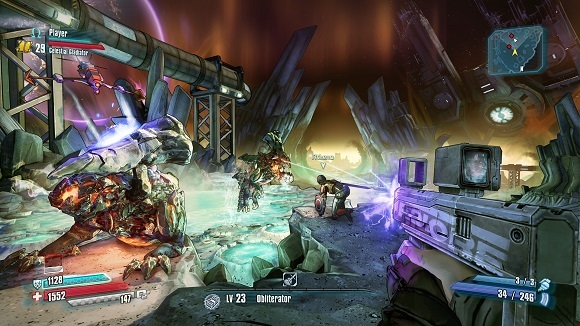 Taking place between the original Borderlands and Borderlands 2, the Pre-Sequel gives you a whole lotta new gameplay featuring the genre blending fusion of shooter and RPG mechanics that players have come to love.Float through the air with each low gravity jump while taking enemies down from above using new ice and laser weapons. 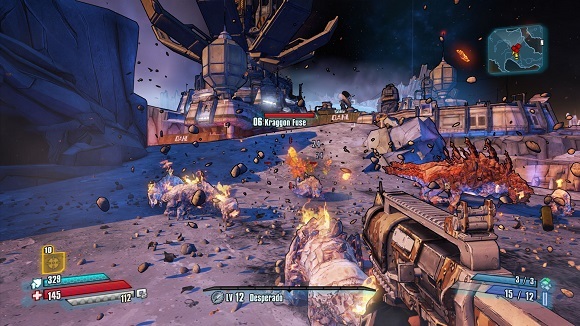 Catch-a-ride and explore the lunar landscape with new vehicles allowing for more levels of destructive mayhem. • Feel the moon’s low gravity with every jump and stomp. 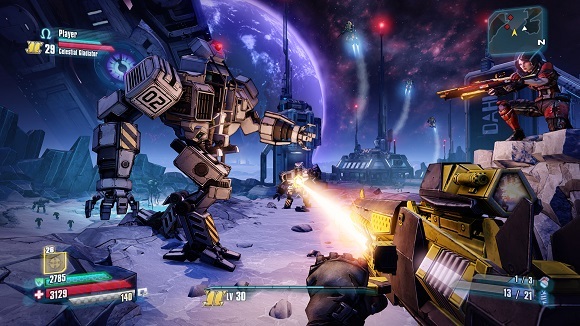 • Cause mayhem with new weapons equipped with ice and laser capabilities! • New enemies offer a space-based twist! • Witness Handsome Jack’s rise to power. 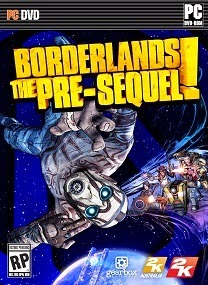 • Dive deep into the origins of iconic Borderlands villains. • Turn the tables and experience Handsome Jack’s side of the story. • Play as one of four new character classes, including Wilhelm the Enforcer, Nisha the Lawbringer, and Athena the Gladiator. 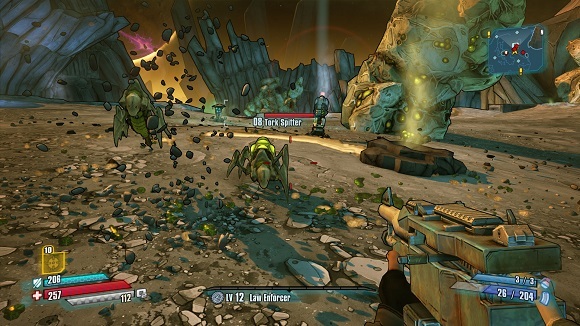 • Play as a combat-ready Claptrap prototype for the first-time! • Experience the gray morality of working alongside Handsome Jack.